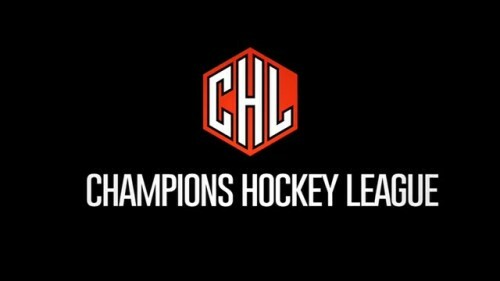 Another group composed of founding members of the CHL, Finnish side Tappara Tampere are joined by EV Zug of Switzerland as well as Swedish side Djurgarden Stockholm in one of the tightest groups going into the competition later this month. Last season Tappara topped Group E, opening their campaign with a solid 7 – 3 victory of Norwegian side Stavanger Oilers, but despite topping the group they finished with 2 overtime losses as well as a regulation loss to scrape 11 points, which some teams didn’t even make the knockout rounds with that point total, and in the first round of the knockout stage they exited the competition, losing 9 – 3 over two legs to eventual runners up Frolunda. Back in Finland in Liiga, Tappara did a lot better. While Karpat Oulu stormed to the league title, Tappara finished in second place with 106 points on the year but ended up falling to Karpat again in seven games in the playoff finals. Goaltedner Dominik Hrachovina could see his work load increased since the departure of last seasons starter Juha Metsola who left for the KHL, but the 20-year will have 25-year old TOmi Karhunen to battle with after he recently signed a two-year deal with the team. The team has no current NHL prospects in their system, but that will all change by the time the 2016 NHL Entry Draft comes around, with two draft eligible players on their roster. Seventeen-year old Patrik Laine is the pick of the two, he’s a top prospect and a prospective lock to go in the first half of the first round, rated as the third best European skater behind fellow Finn Jesse Puljujarvi and also Russian centre Dimitri Sokolov, while forward Otto Makinen will be looking to turn heads as he goes into his draft year as a prospective middle round pick. Joining Tappara is Swiss outfit EV Zug who’ll be looking to better last years disappointing group stage exit. Despite finishing second in Group H, their 10 points weren’t enough to see them in the top six of the second place finishes and ended their tournament in October. Back in the NLA, Zug finished in a respectable fourth place with 92 points, but they suffered a first round exit to eventual playoff champions, HC Davos. Zug’s top scorer Pierre-Marc Bouchard, a veteran of nearly 600 NHL games with the Minnesota Wild and very briefly the New York Islanders, Bouchard was a solid player for Zug last season, registering 51 points in 49 games while adding 5 more in 6 post-season games. The team will be back stopped by 31-year old Tobias Stephan who put up an impressive 2.32 GAA and .925% save percentage in 50 NLA games last season, positing similar numbers in 6 CHL games in his first year in Zug after being a long time goaltender of Geneve-Servette. Much like Tappara who have no active NHL prospects in their team, they do have a draft eligible player in Dominik Volejnicek who’ll likely split time between the senior squad and the under 20 squad, and could be included in the Swiss world junior squad. It was a disappointing 2014-15 CHL campaign for Djurgarden, finishing third in Group D with only 9 points that left them out of the playoffs, one of the only positives was their convincing 8 – 0 victory over Czech side PSG Zlin. In the SHL it wasn’t much better during the regular season, finishing down in 9th place with 71 points meaning they had to go through a mini tournament to qualify for the playoffs, but they lost in two games to last seasons CHL champions Lulea Hockey. Former NHL goaltender Mikael Tellquist will battle for ice time with 22-year old Lithuanian goalie Mantas Armalis who made 8 appearances for Djurgarden last season in the CHL, impressing with a 1.95 GAA and a 9.33% save percentage that made him one of the best goaltenders in the tournament, recording 1 shutout in his 8 appearances.